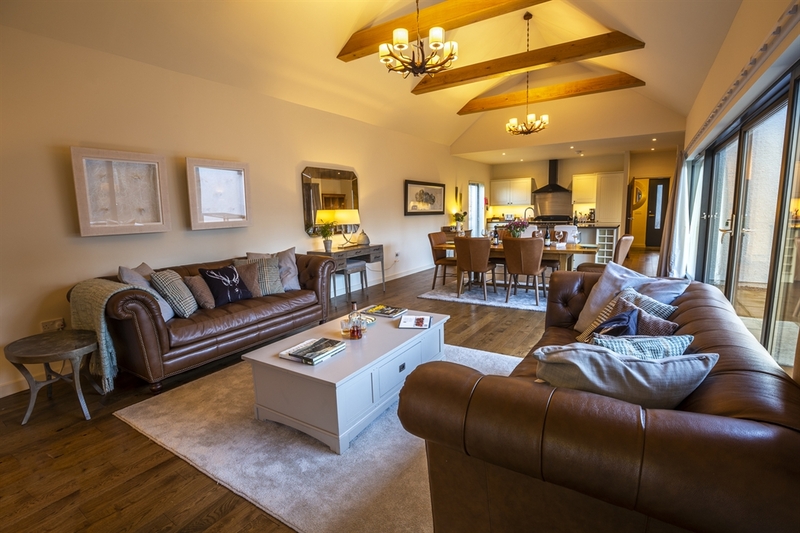 Recently built, this stunning architecturally and interior designed luxury lodge is located on an elevated position on the banks of the River Nethy, just a short walk from the picturesque village of Nethy Bridge. 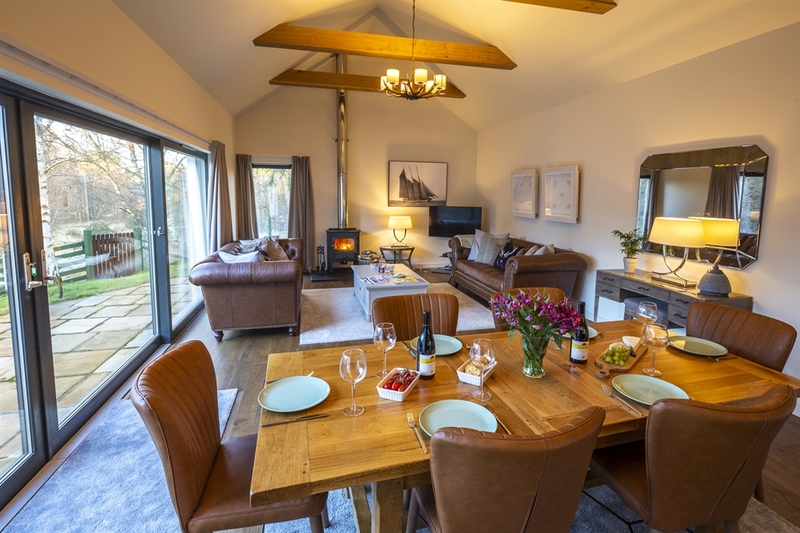 Riverside Lodge has a beautiful, spacious open plan living area with large south facing windows and a 7 metre glass door opening out to the outdoor eating/barbecue area. 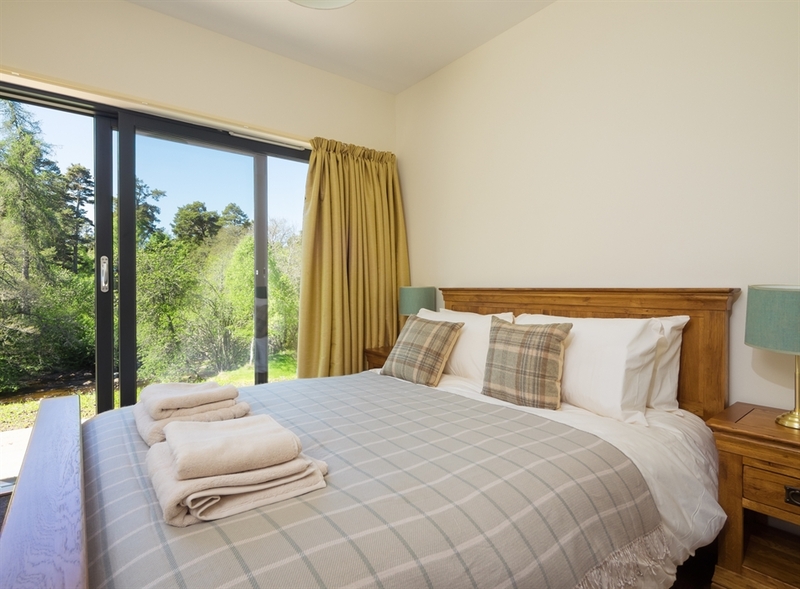 All three well proportioned bedrooms also share this view and have access onto the patio and garden beyond, with child lock if required. 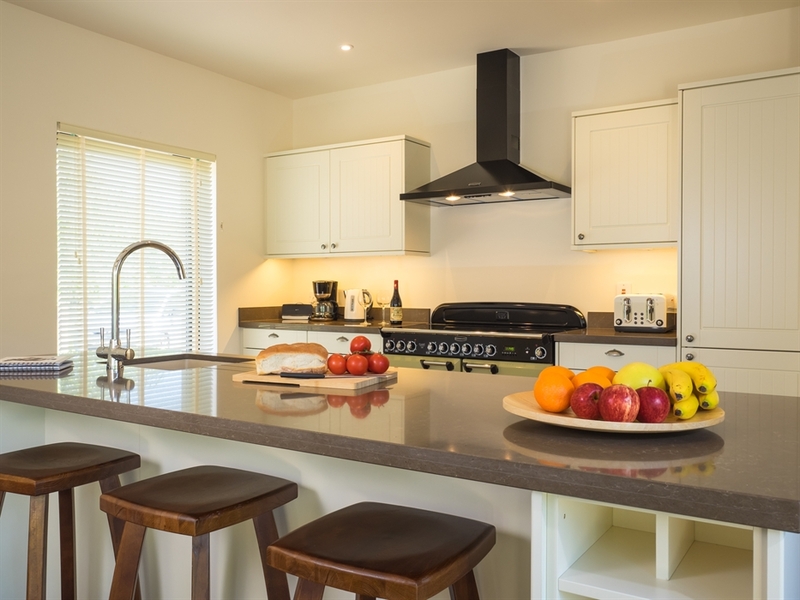 No expense has been spared on the finishings in this holiday home, everything from the beautiful fitted kitchen, granite work top, huge range oven and wood burning stove is of a very high spec. 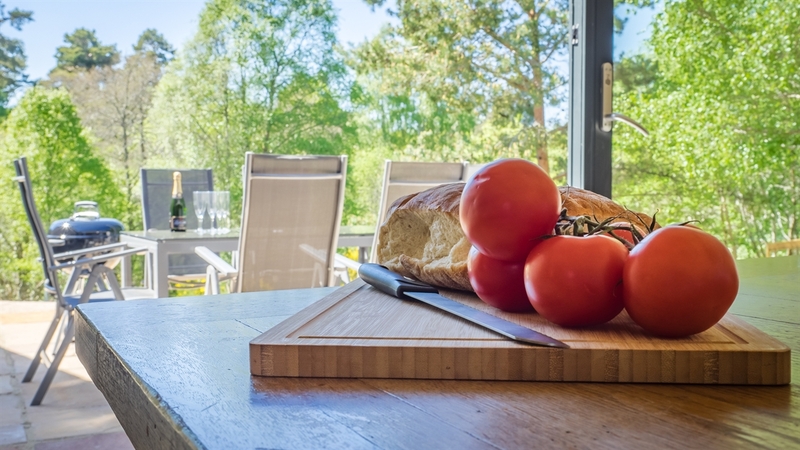 All furniture and fixtures are also of the highest standard, with real wood floors throughout and luxurious underfloor heating via an air source heat pump. 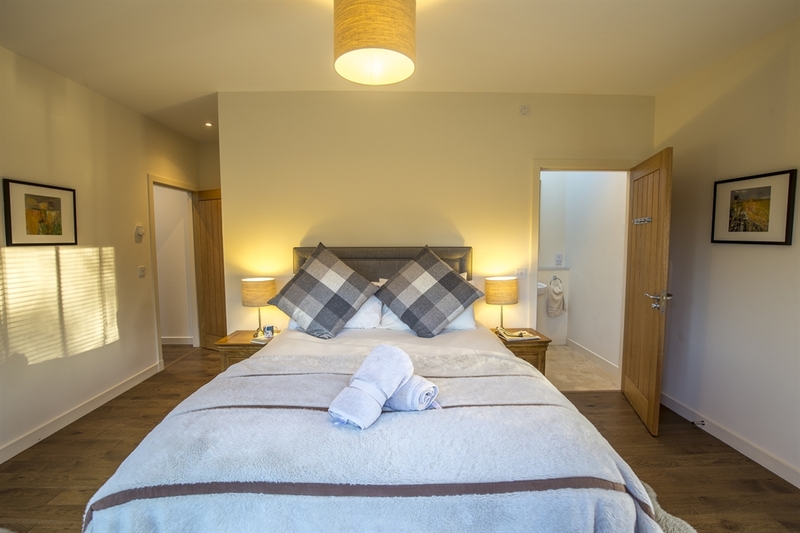 This lodge offers the very finest in holiday accommodation. 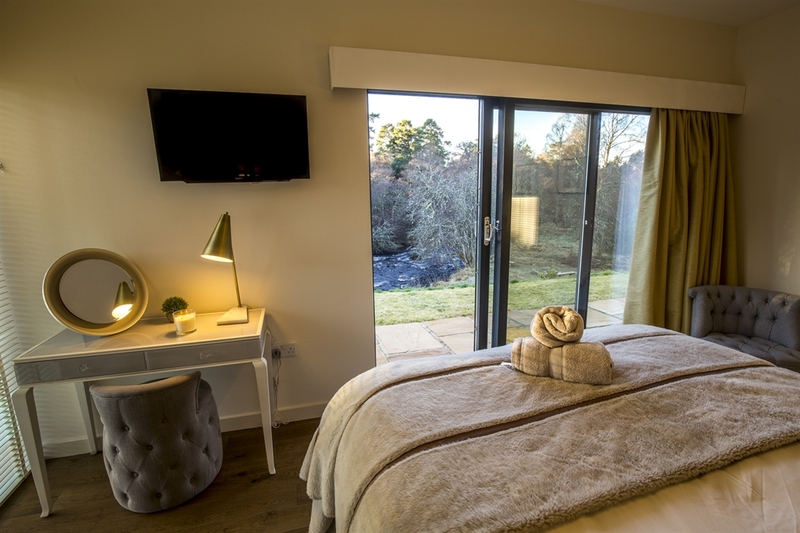 There is a large utility room with washing machine and a drying wall should you come back with wet, muddy clothes after a day out exploring everything that this fantastic part of the Cairngorms National park has to offer. 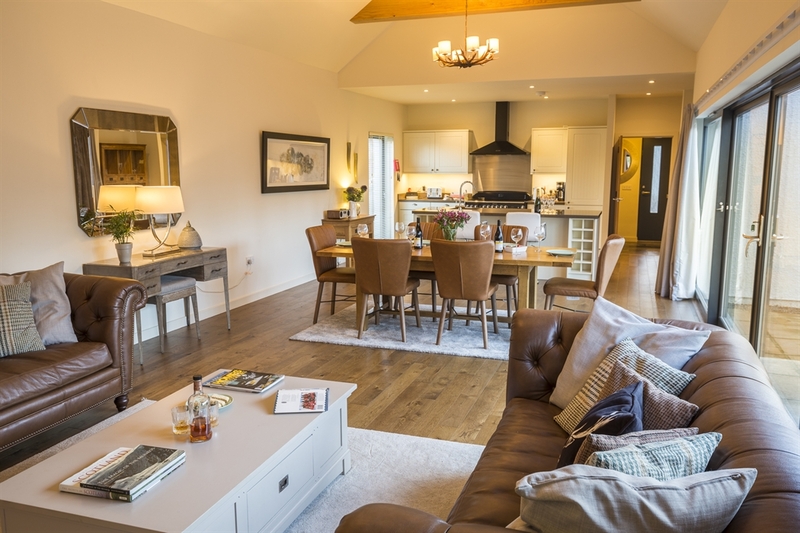 The heart of the lodge is the large open plan kitchen/living area. As if the views from this room were not enough, this impressive room is double height with stunning antler chandeliers hanging down in between the exposed oak beams. 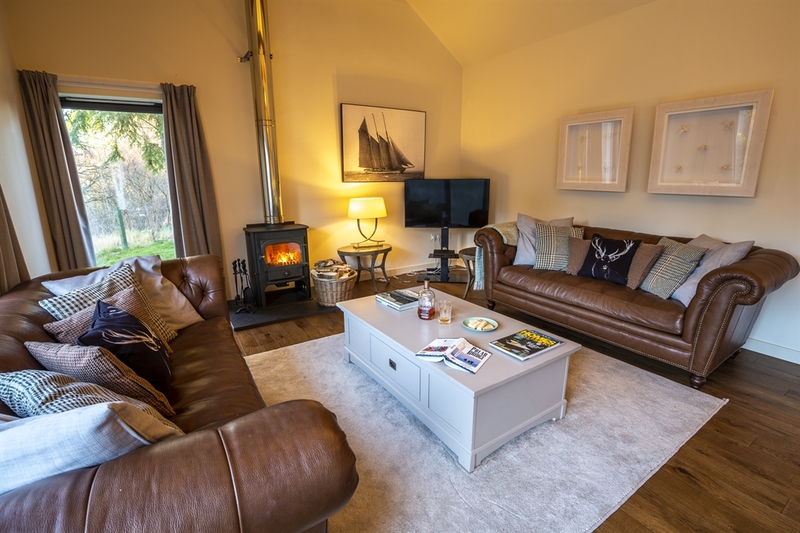 Perfect for family gatherings, the room extends down to a cosy seating area with large screen TV with Netflix and a playstation arranged around the cosy wood burning stove. The king and twin bedroom share the large family bathroom with stunning sky light. 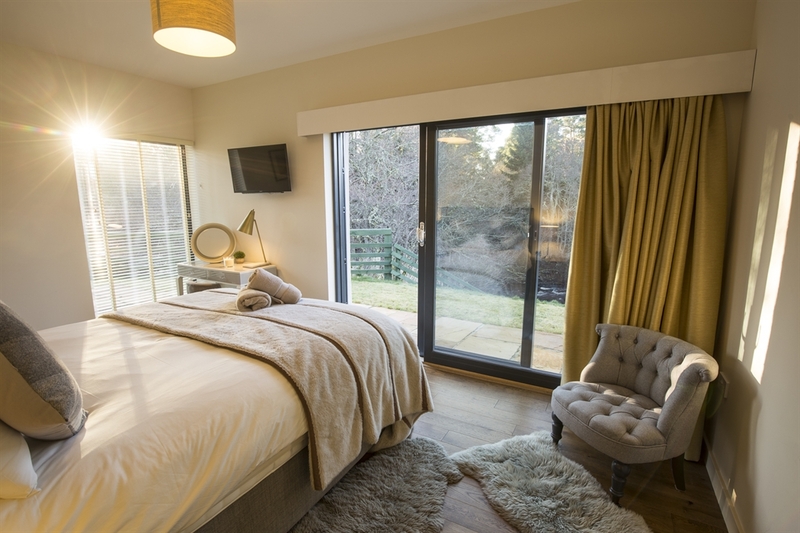 The large master has an en suite bathroom and a wall mounted TV, however we doubt you will tire of the spectacular view! 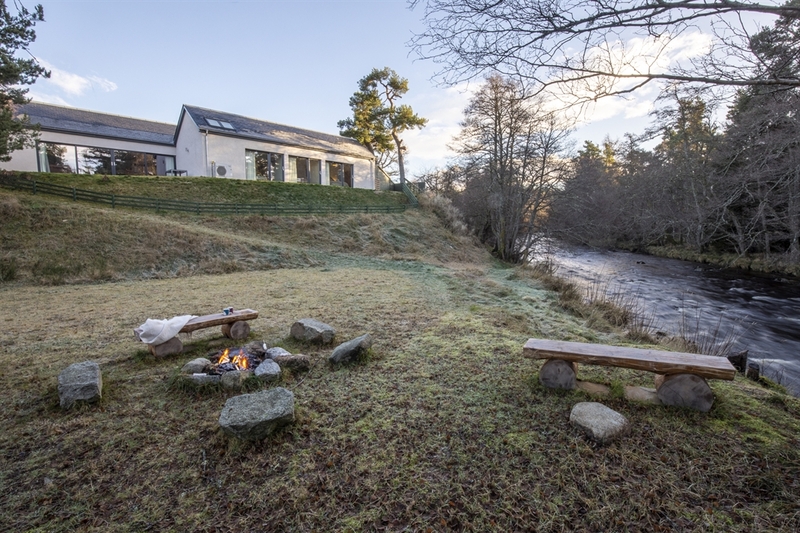 The large garden beyond the patio stretches down to the river bank, perfect for some informal fishing, bird and nature watching. 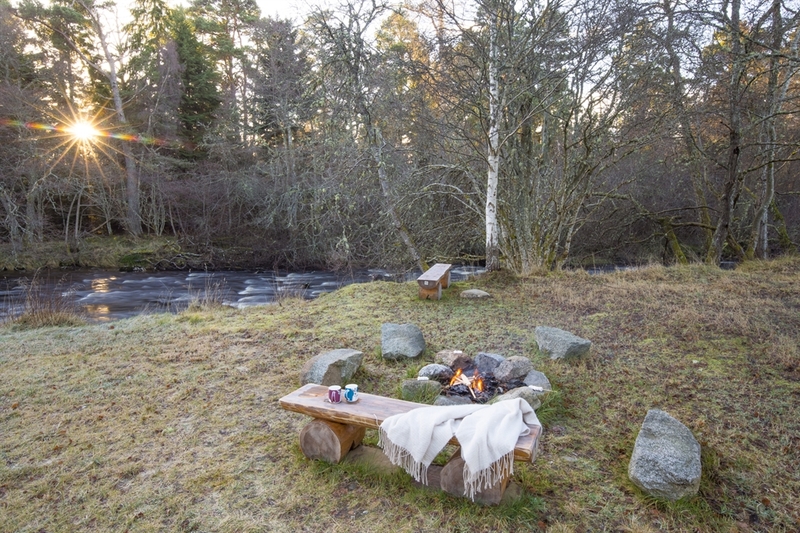 There is also a lovely fire pit perfect for those balmy summer nights. The garden also fronts onto the Causer, a large area of public land perfect for dogs, older kids and ‘big’ kids to run around and play games on. Nethy Bridge has some lovely local amenities including a super cafe, butche and deli in the village. 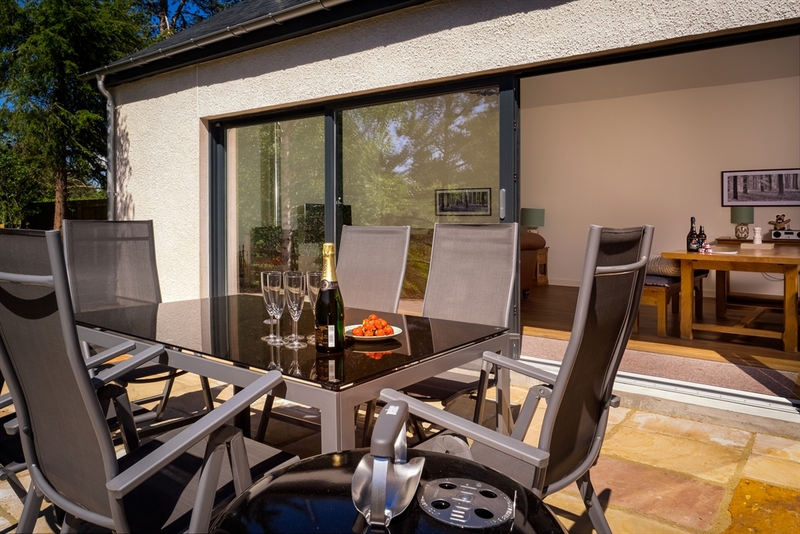 Nethy Bridge is close to some award winning restaurants, cafe’s and bars. 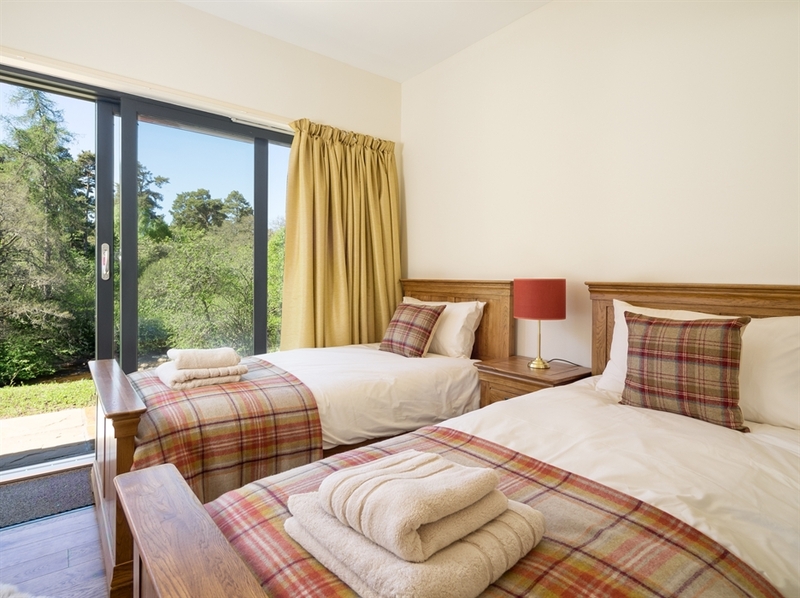 Located in the heart of the Cairngorms and just a stone's throw from Aviemore, your choice of activities are endless everything, from bird watching through to white water rafting!